On being shown the new draft, Justice Siddiqui remarked that the law finally seemed to hold false accusers of blasphemy accountable, adding that it was "once again the courts which had to get it done." The Interior Ministry on Friday submitted to the Islamabad High Court (IHC) a draft of proposed amendments to the Prevention of Electronic Crimes Act (Peca) 2016 which seek to equate punishments for a false accusation of blasphemy to the punishment for actually committing blasphemy. The punishment for blasphemy in Pakistan ranges from several years in prison to a death sentence. Under existing laws, a person making a false accusation can only face proceedings under Section 182 of the PPC, which entails a maximum punishment of six months, or a mere Rs1,000 fine. Justice Shaukat Aziz Siddiqui of the IHC had asked for the draft in connection with an order he had passed in a case pertaining to the circulation of sacrilegious content on social media. The new draft was presented after the court had rejected an earlier draft while pointing out multiple shortcomings in it, including the omission of a punishment for those who falsely accuse others of blasphemy. The Pakistan Telecommunication Authority (PTA) separately presented to him a report on blasphemous and pornographic content on the internet. 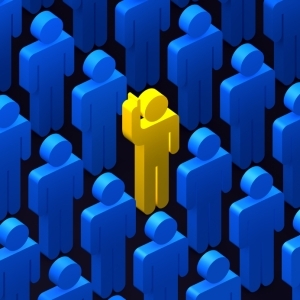 The report said that the authority had so far blocked 550 blasphemous websites. It added that 763,00 links to pornographic content have been blocked, of which 279,000 were blocked following court orders. The hearing of the case was adjourned until March 16. The matter had first been brought before the IHC by the Lal Masjid-led Shuhada (Martyr's) Foundation, which had initially accused five bloggers of uploading blasphemous content on social media last year. However, the incumbent FIA director general had recently informed the IHC that the bloggers, who had been disappeared by agencies early last year, were not involved in blasphemy and the investigation agency had not found any tangible evidence against them. 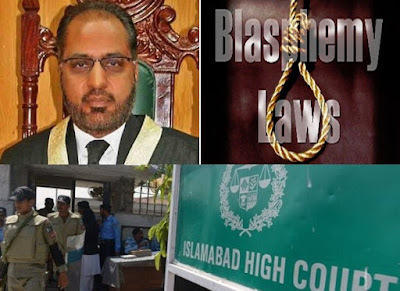 Justice Siddiqui had subsequently proposed the invoking of the blasphemy-related Section 295 of the Pakistan Penal Code (PPC), dealing with those who falsely accuse another of blasphemy. In a 116-page verdict, Justice Siddiqui had discussed in detail the common criticisms against the blasphemy law and said that due to misuse of this law, critics were demanding its abolition, adding that it would be better to stop the exploitation of the law rather than abolishing it. The detailed judgement also explained how, in cases of personal enmity, people managed to drag their rivals into blasphemy cases, putting at risk the lives of the accused and all their friends and family members.